Childhood obesity is rapidly becoming an epidemic. 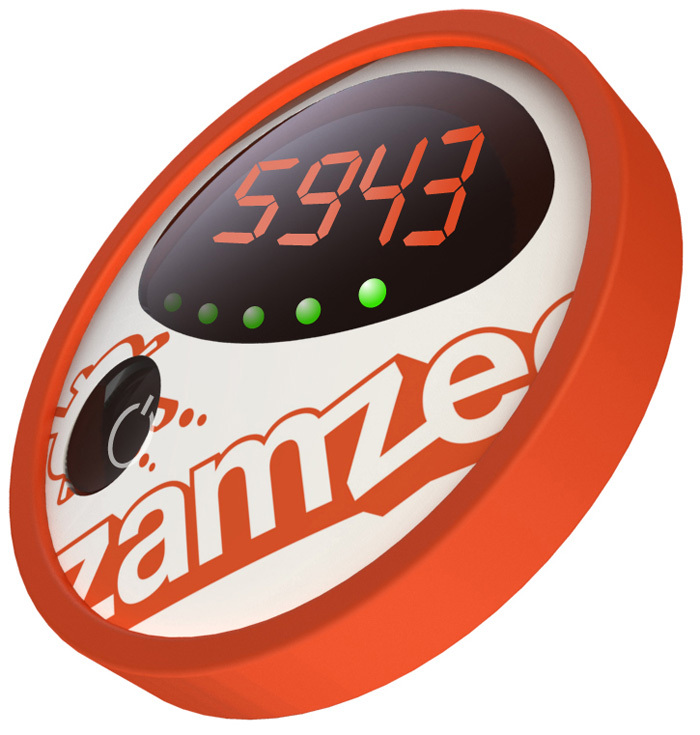 In response, HopeLab has created Zamzee, a product that encourages increased physical activity in tweens. Students will provide valuable design feedback, marketing strategy, and sales tactics to help HopeLab hit a key sales target. Test and evaluate the Zamzee prototype, recommending design changes as necessary. Interview tweens and parents to determine the most compelling value propositions of the product. Recommend further design and product improvements based on interviews. Research competitors to determine how Zamzee might be differentiated to consumers. Recommend changes based on your research. Determine how best to market Zamzee to parents (buyers) and tweens (users). New design and product features must be justified as important to the customer and product success. Marketing costs should not exceed $20,000. Marketing tactics should include low-cost, word-of-mouth and/or online viral marketing strategies. The plan should based on a 6-month test market period beginning October 1, 2010 to inform a full-scale market launch later in 2011. 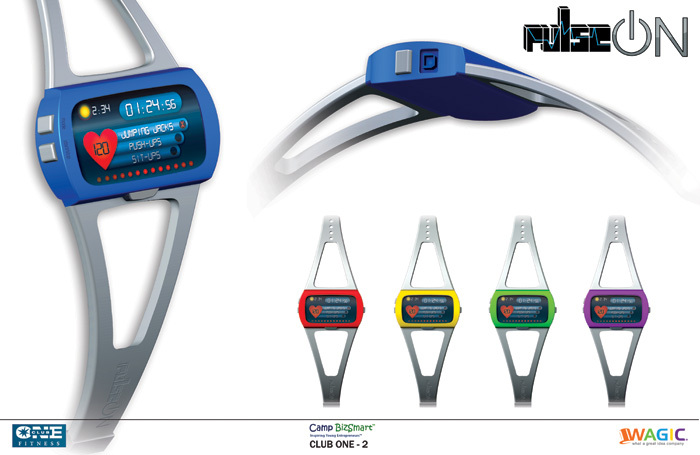 Design an innovative product with engaging, good-habit-forming features that promote and track physical activity, appealing to both tweens and parents. Construct a creative, cost-effective marketing plan to sell 600 Zamzee products in a specific geographic location as a test market for the eventual full-scale product launch. Describe special product functions and design, as well as competitive analysis and points of differentiation for Zamzee. 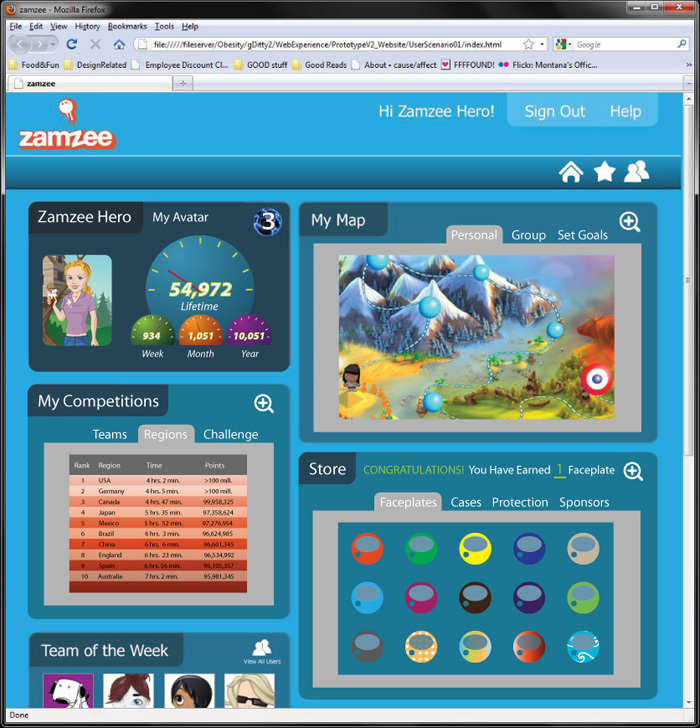 Write a compelling message statement to describe Zamzee and its features and benefits to tweens. Recommend specific marketing tactics to drive Zamzee sales. Creatively present product strategy, tactics, and schedule in a visually compelling way, using storyboarding, slides, video, or other approaches. Construct assessment metrics to determine which tactics should be considered for the full-scale product launch. Bad habits and environments can cause people to make unhealthy choices. Club One Fitness has created the Habit Changer to empower people to voluntarily and effectively adopt healthier habits on their own. It’s already a proven success in 50 countries. Your task is to design a new, unique program specifically for tweens, and promote it worldwide in a cost-effective manner. Design a new, free program for Habit Changer with daily challenges and text messaging to help tweens with balancing nutrition, physical activity, sleep, friends, and other issues that influence overall health. Choose issues that will have the most impact for tweens, and architect the program around those. Develop a marketing plan that includes games, challenges, or other creative executions to engage tweens and get them to purchase add-on features. Budget is limited to $50,000. Get the word out to 100,000 potential users. Reach these 100,000 users within 30 days. Plan must be turnkey, so outside agencies can easily run it. An innovative new 7-day program aimed at tweens. Create a concept and program name. Schedule seven days of daily challenges. Make add-on features that can be purchased by tweens. Successful companies know that to grow and profit while minimizing risk, they must use resources as efficiently as possible. That’s why Hara has developed the OMI – organizational metabolism index. 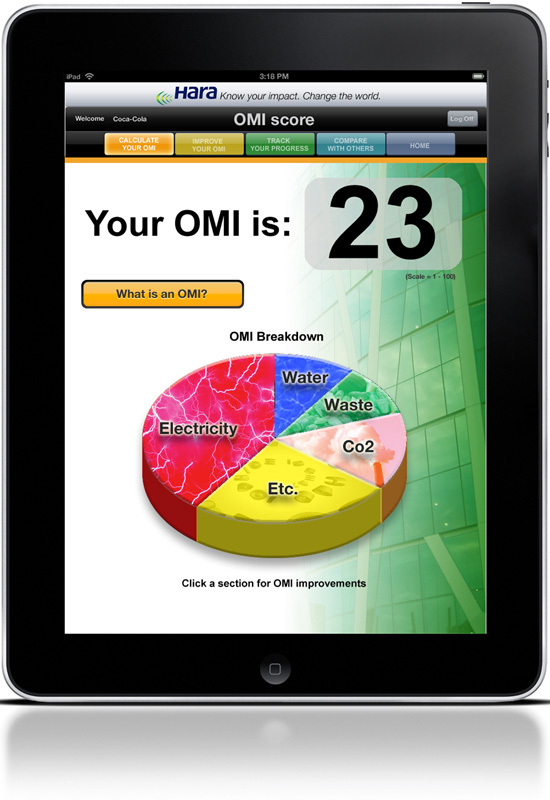 Just like a BMI (body mass index) helps you measure how healthy you are, an OMI helps businesses understand how environmentally fit and cost-effective they are. 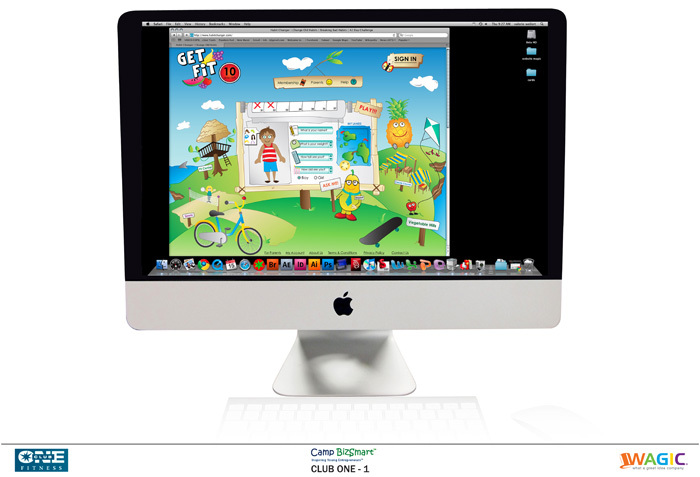 Your task is to design a fun and creative iPad app or game that helps businesses calculate and improve their OMI. App should track all company resources and corresponding waste. App should estimate costs and/or cost savings, inspiring businesses to improve their OMI. App should measure and chart progress toward achieving OMI goals. Promote efficiency and inventive re-uses of waste (e.g, recycling gray water for irrigating plants, or turning food waste into compost). For purposes of the competition, design the app for a real-life company you know and use, and track typical resources as well as a resource unique to that company that demonstrates significant cost savings. 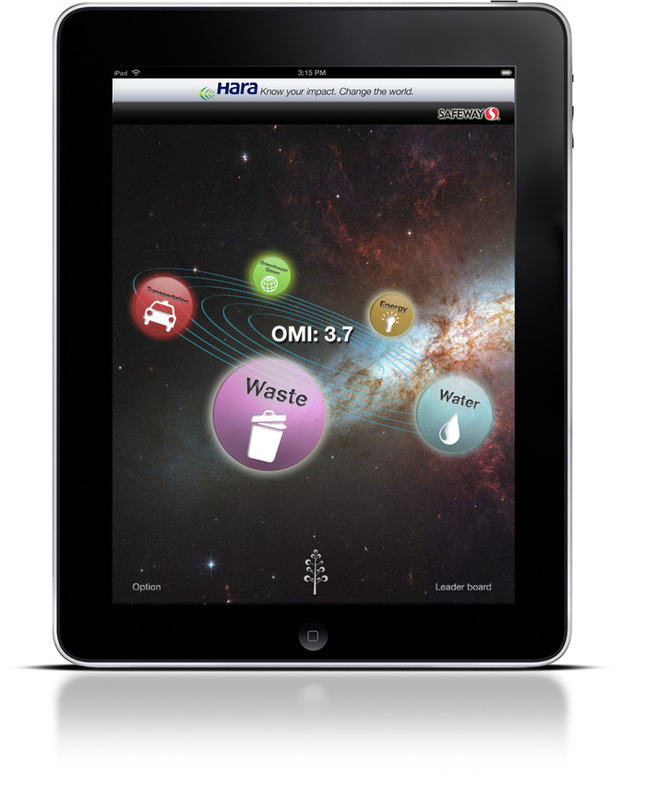 Design a marketing plan to make your Hara OMI iPad app a must- have for Fortune 500 companies. App development should cost less than $1,000. Focus on OMI for businesses, not individuals. Sketch screen views, then use WAGIC to create screen shots demonstrating how your Hara OMI iPad app would work. Showcase the benefits to all businesses by estimating the Hara OMI benefits for your selected company. Tigo has invented a technology that improves the output of home solar energy panels by as much as 20%. Create a way for both Tigo and solar panel installers to capitalize on this innovation. Build an app that gives installers a competitive advantage. Use at least three data/control points in the Tigo Energy database to build your app, including power use per solar panel, panel problem alerts, integrated weather information, data collection of other meters, or on/off controls. Create a revenue stream for Tigo of $1 million a year within three years. Make sure that the installers achieve an annual return (profit) of at least 10 times their investment in the cost of the app. Have the app ready for market in 6 months. Maximum cost for app development and marketing is $100,000. Comply with mobile industry standards. Maintain privacy of participating homeowners. 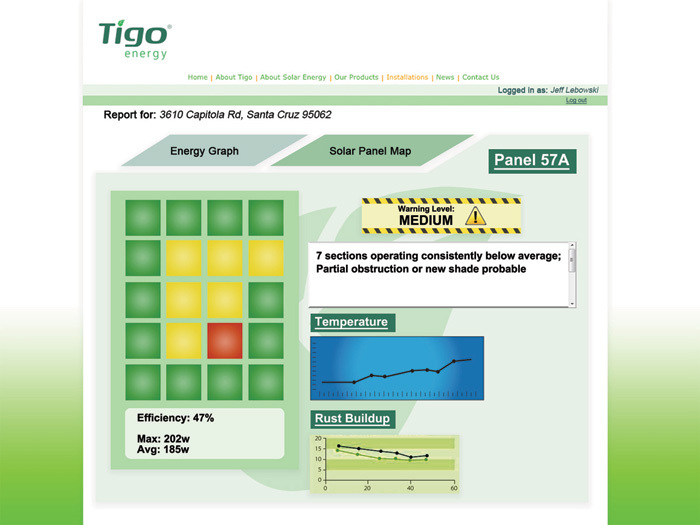 Design a mobile- or web-based app for residential solar system installers, which can integrate into Tigo Energy’s current software. Create a workable revenue model and marketing plan. 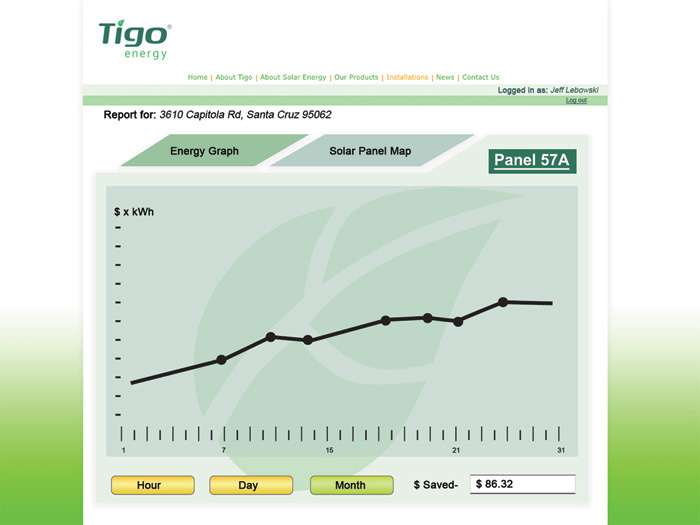 Use real-time measurements from Tigo solar panels. App should generate revenue for both the installers and Tigo. Concentrating Solar Power (CSP) is a viable way to create drinking water from seawater. 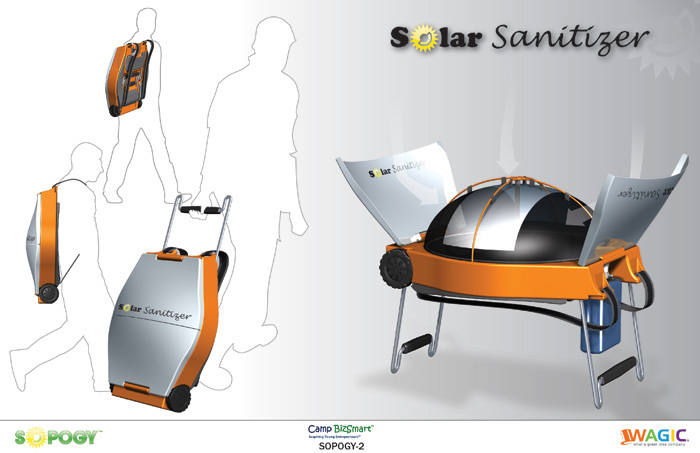 Your task is to design a portable clean water unit using Sopogy’s existing CSP technology. Create a brand-new application of Sopogy’s CSP technology. Design a unique, portable, and efficient clean water unit using Sopogy CSP technology. Make the Sopogy unit the machine of choice in disaster relief efforts. Evaluate competitors with similar products, and list differentiating features and benefits of the Sopogy clean water unit. The unit must be able to operate in most climates with no other available source of power. The unit should be simple enough to be operated by inexperienced users, with only an hour of training. The unit must be able to produce at least 25 gallons of clean water per hour. The water must be clean enough to drink safely. Production costs per portable unit should not exceed $1,000. Time to launch: within 1 year, using 4-month milestones. 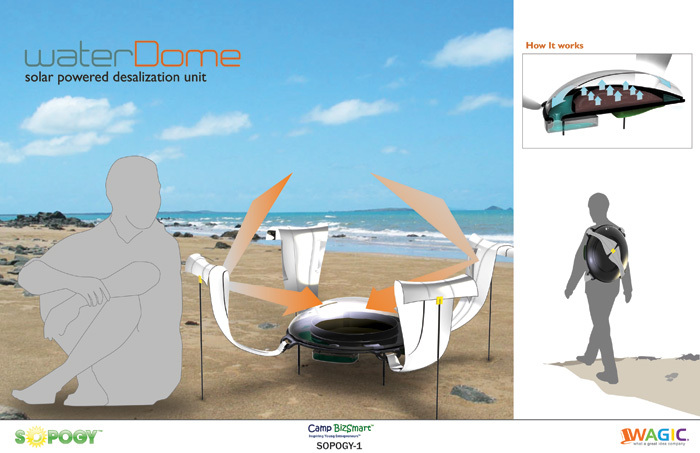 Design a portable unit that can be carried by a single adult at least 10 miles. Formulate marketing and sales strategies that include partnerships with existing solar distributors and utilities. Include partnerships with recognized disaster relief organizations. Create a marketing tagline and logo. Your marketing should create a viral buzz.